Looking for some Goth gourmet? NYC has the best eateries for whatever you might want. The big "nose to tail" trend of using the whole animal has come to Chef Todd English's Cross Bar. 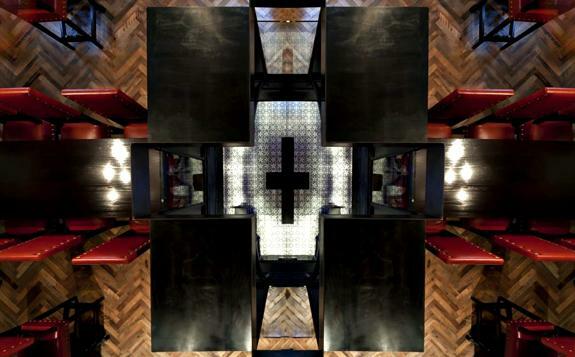 The new restaurant is housed in the legendary former church turned Limelight Nightclub (now Limelight Marketplace). 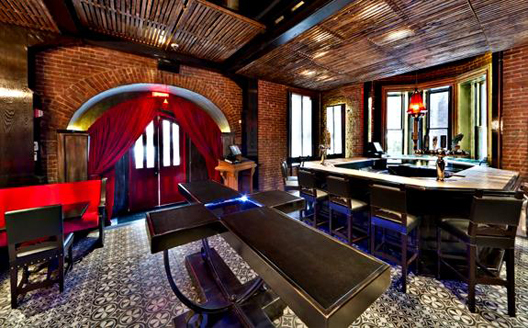 The decor encompasses red leather, onyx crosses and wrought iron light fixtures throughout. The food includes roasted suckling pig and gourmet snacks like caviar potato skins. There will be two wine walls and three fireplaces. Shocking, visionary, artist, a true designer. 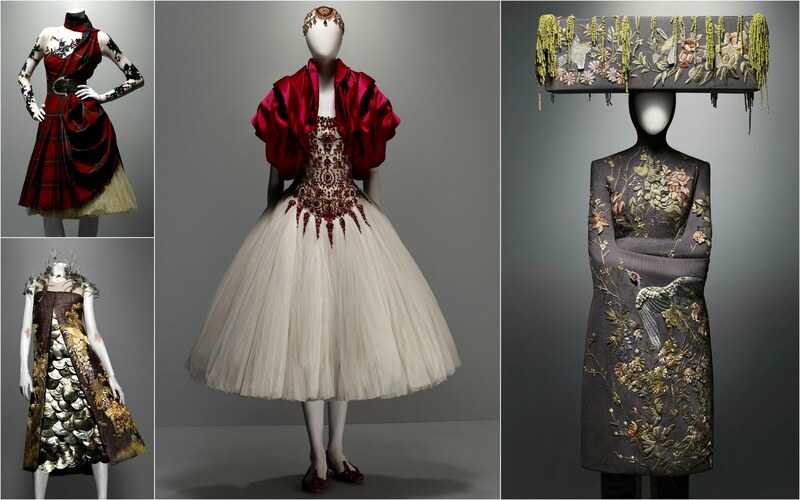 Alexander McQueen's death shocked and saddened many of the fashion world, but his creative legacy is eternal. The Metropolitan Museum of Art in NYC launches Alexander McQueen: Savage Beauty today. The extensive exhibit is one of the most elaborate, dramatic tributes to a designer I have ever seen. The exhibit opens with two mannequins in a darkened foyer. 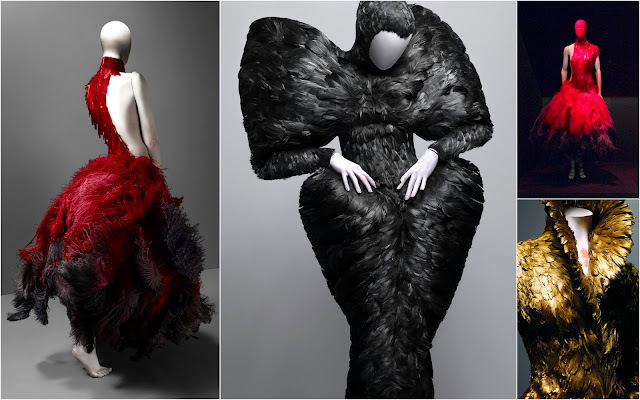 One dressed in an ombre red feather gown, the other in a sculpted dress made of razor shells. You then proceed into soaring black walled halls with antiqued gilded mirrors and horror movie sound effects. The display of impeccably tailored black suits showed of McQueen's Savile Row background, but the rebellious variations of draping and corset finishing was all his vision. This was the most sedate part of the exhibit.